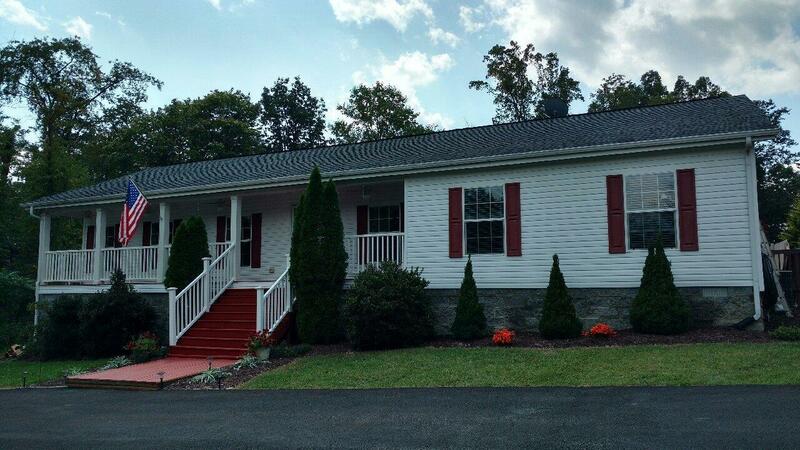 Gorgeous open floor plan on 1.95 acres in Salem! Split bedroom design. great room with gas log stone fireplace. Master bedroom suite with huge walk-in closet. 3 BR, 2 BA and office. Covered rocking chair front porch. Easy maintenance, one of a kind, landscaping. Multiple over sized decks. Gazebo. New above ground pool 36 x 14 garage. Utility building. Fenced yard. Garden area. House set back from the road for privacy. New blacktop driveway. Bordering the property is a small creek. Much more to appreciate in this home.